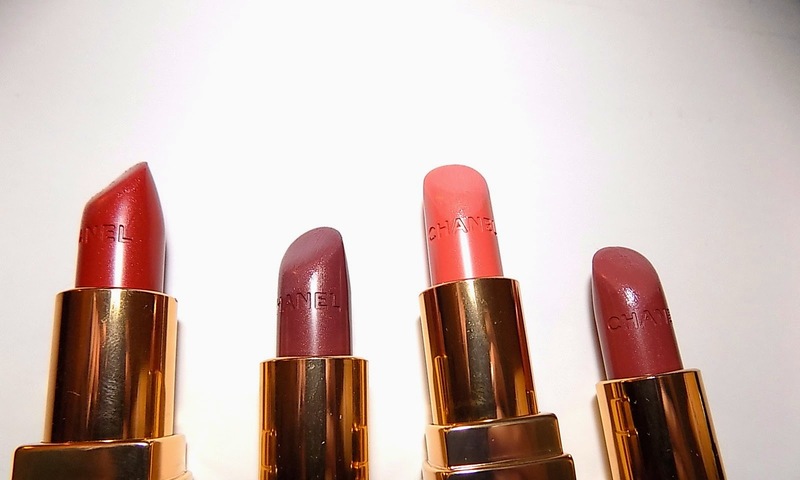 Chanel is reintroducing their Rouge Coco Lipstick. last updated in 2010. So what's new ? The formula has been updated to be more hydrating. The last reiteration had meadowfoam oil, the new version has an exclusive complex including jojoba and mimosa butters, sunflower wax and silicone . The colors are also new , all named for someone special in Gabrielle Chanel's life. The case remains the same , heavy with a satisfying click. I think of these lipsticks as "real" lipstick. The kind of old fashioned ones that Garbo might have swiped on, modernized. 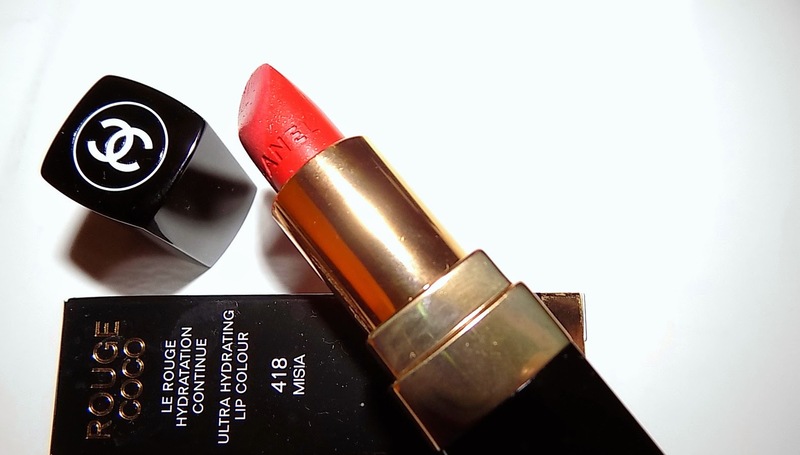 Rouge Coco is not matte nor is it glossy. They have no shimmer but a slight satin sheen. Pigment is rich, not quite full, two coats suited me best and they feel good on lips. In comparison to two of my older ones , the new version does seem more hydrating , a little less dry and more comfortable. Chanel Rouge Coco comes in 29 shades and sells for $ 36. 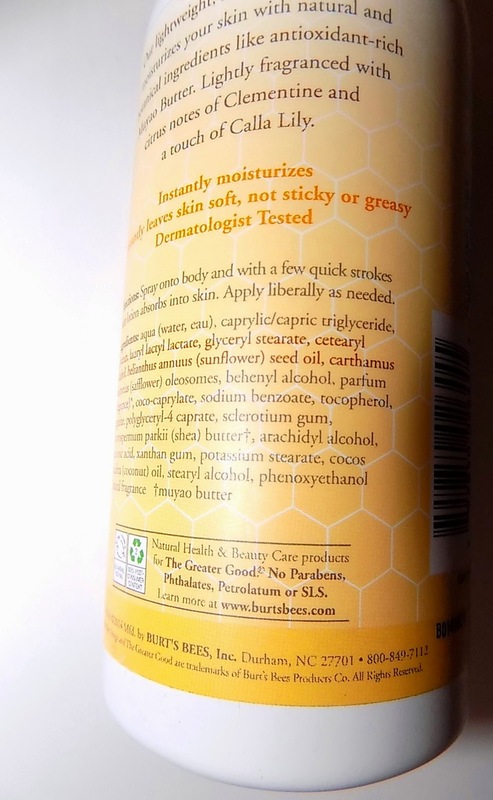 Spray lotion isn't something new these days but Burt's Bees version is. New Sheer Body Lotion is not an aerosol but a pump spray meaning you get a heavier ( but not too heavy) lotion than many others. Burt's gives you more hydration , like a pour or pump lotion. It's nicely moisturizing but dries and sinks in quickly. It works for quick mornings or at nighttime. The lotion leaves behind a nice scent trail as well that lasts. I love that feature but if you are not into scented lotions, keep that in mind. There are three scents available and all sound quite good. Mine, Clementine and Calla Lily is delicious. A soft floral and peachy citrus scent that's cozy yet full of Spring and light. Ingredients include glycerin, safflower oil oleosomes, sunflower seed oil and shea butter. So you get the convenience of a spray with the moisture of a lotion It's all good. 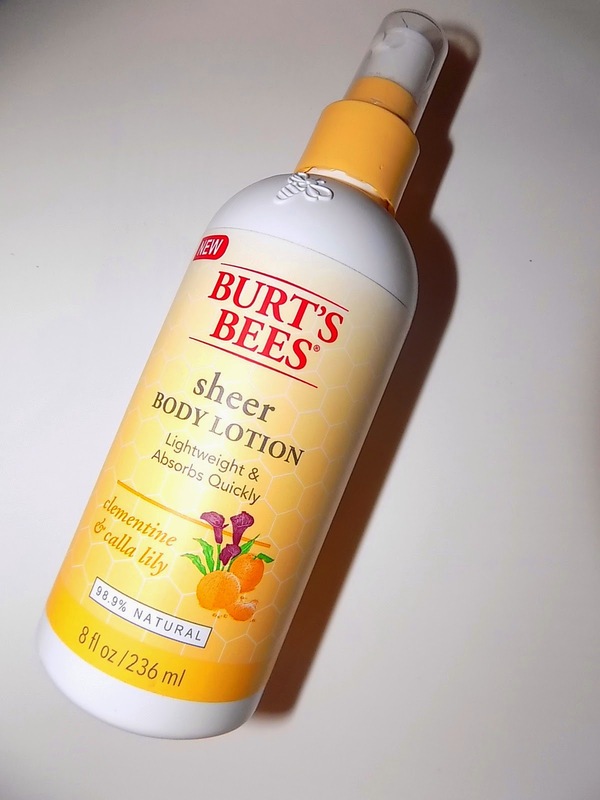 Burt's Bees Sheer Body Lotion Spray is $10 for 8 oz and comes in Clementine and Calla Lily, Violet and Mango, Cucumber and Aloe. 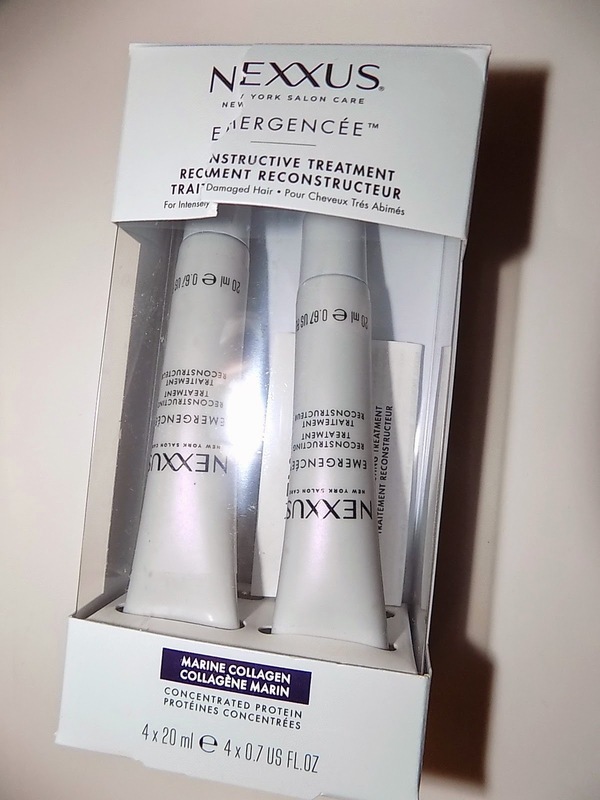 Around here Nexxus Emergencee Reconstructing Treatment is a staple. The Mom has sworn by it for years and when it was dc'd briefly she had me tracking down old stock. When I needed hair help , that was what I tried and it worked amazingly. 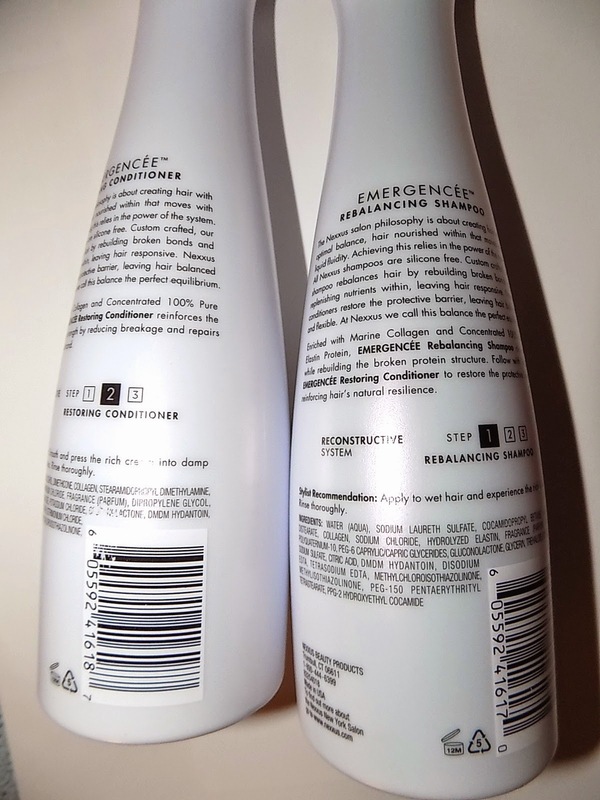 Happily Emergencee Treatment is back on shelves along with new friends like shampoo to help your hair. 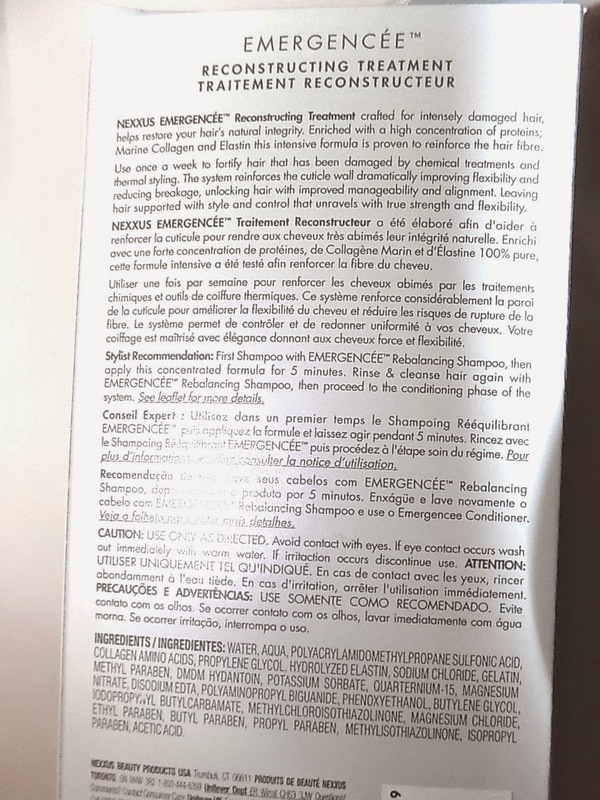 You can read about the original Emergencee HERE, the product is basically the same , a once every 1-2 weeks super hair reconstructer for damage. Now the product comes in a 4 tube box as opposed to the old individual bottle. Nothing works quite like this if you have major hair issues . New is a Rebalancing Shampoo and Restoring Conditioner to do good things for your hair. The shampoo cleanses well and gently, doesn't make hair over soft , and is silicone free . The conditioner smoothes hair surface as well as helping to reduce breakage . The combo works well, our hair is manageable, conditioned but not weighed down and strands look healthy with less split ends, tangles and hair fallout. 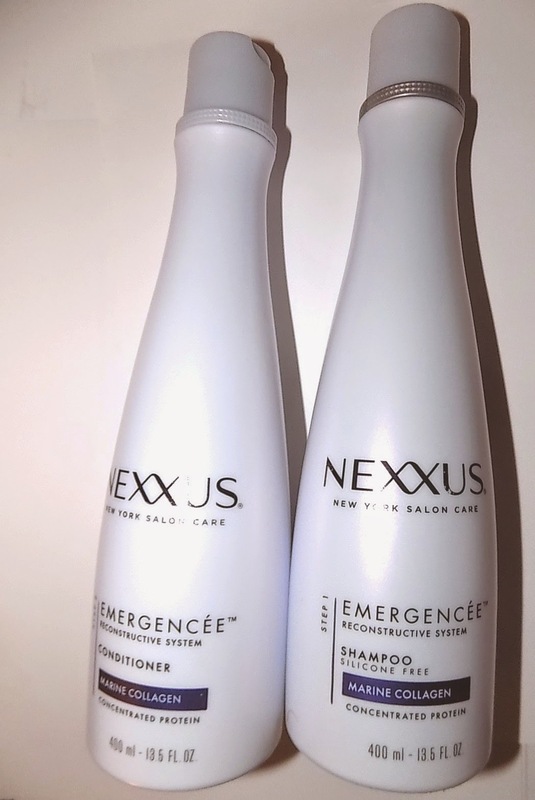 Nexxus Emergencee line is available now wherever the brand is sold. Balenciaga's newest brings a burst of sunshine and effervescence. Something we need in February , right ? L'Edition Mer is a bright fragrance bursting with citrus and green notes. The first spritz brings that citrus, zesty and lemony in the form of the yuzu note. The green notes come along and according to the brand , the scent uses green shiso leaf living , a plant grown hydroponically. That leads to an aquatic feeling, but a very light one . It never gets bogged down by any dewiness but is more fresh . Muguet adds a hint of floral and by the drydown the fragrance is a soft woods tinged citrus. 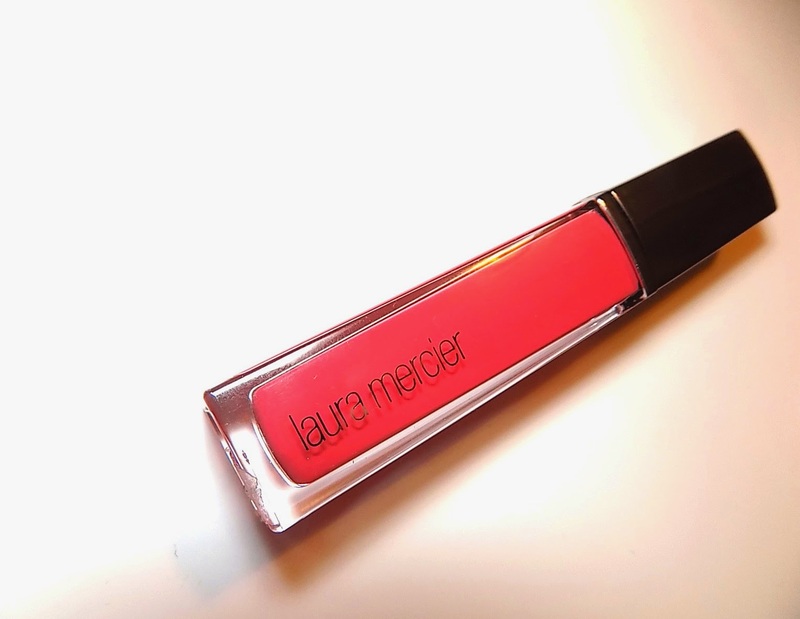 L'Edition Mer wears lightly and is a great Summer complement but I happily wear my citruses all year. For me, they always work. As with many citrus scents, I love this and Balenciaga scents have yet to disappoint. 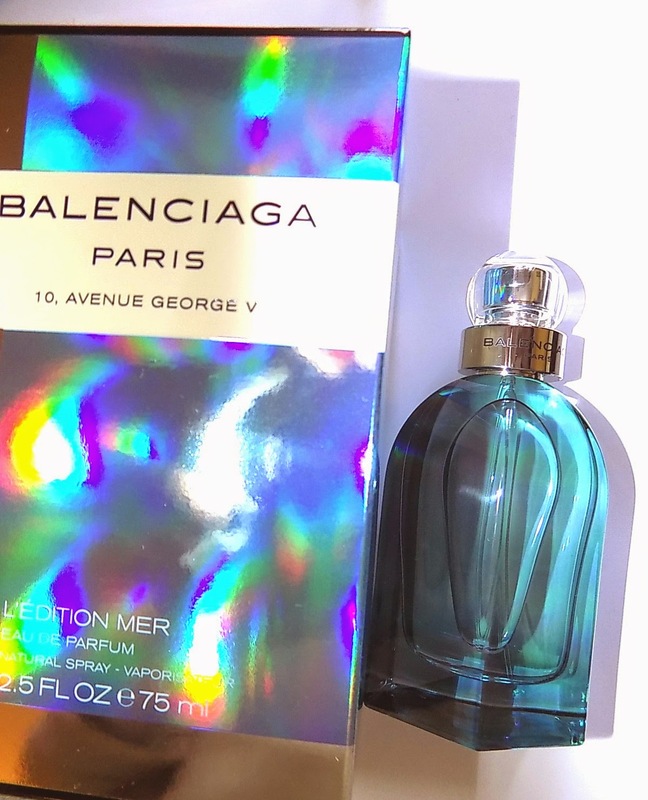 Last years's B. Balenciaga is a beauty and a favorite , as is the violet/chypre original fragrance. 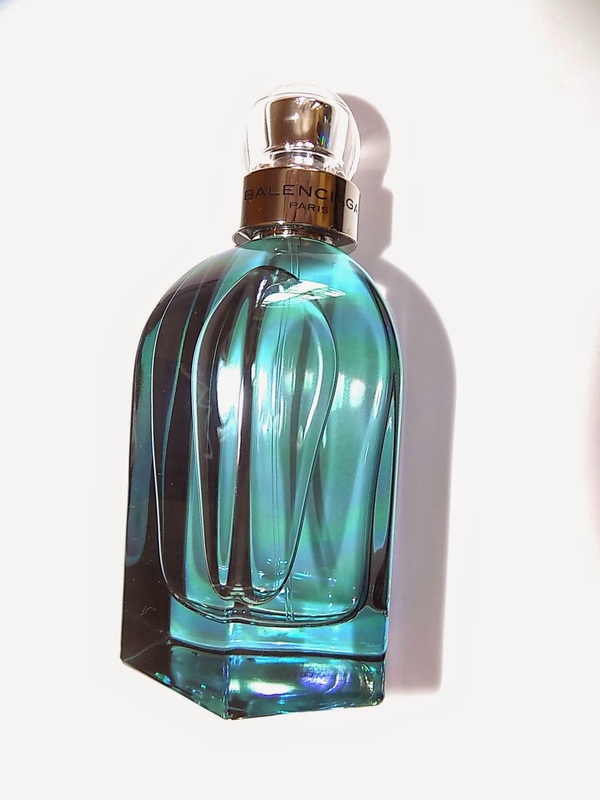 Balenciaga Paris L'Edition Mer is $145 for 2.5 oz EDP at Neiman Marcus from February through August. 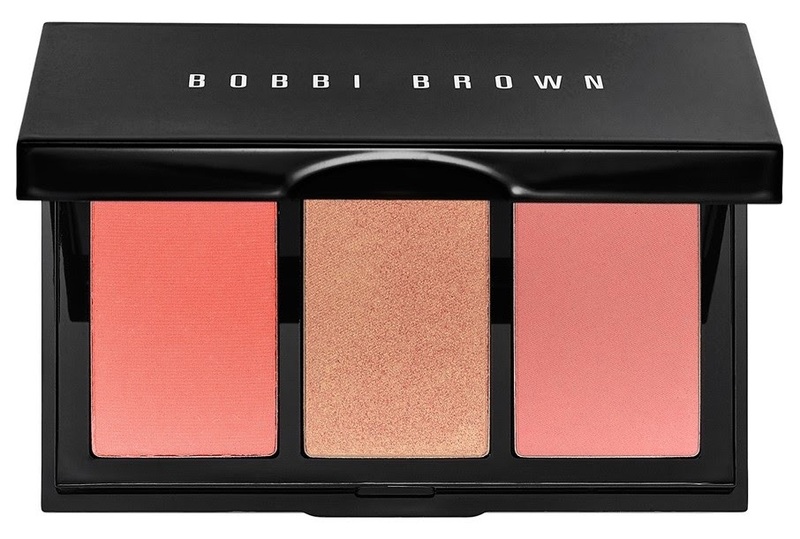 Cheek palettes are so having a moment and that is a good thing. 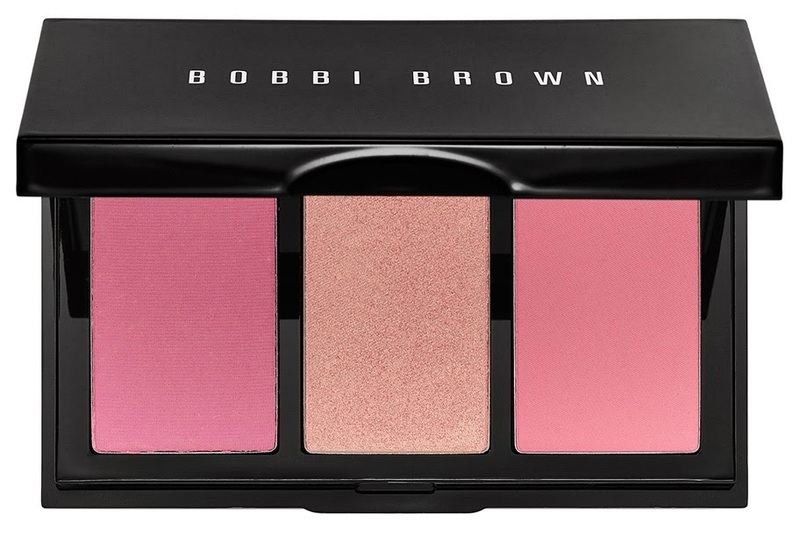 For what reason I don't know but I love a blush palette more than an eye one and these three new ones from Bobbi Brown are beauties. 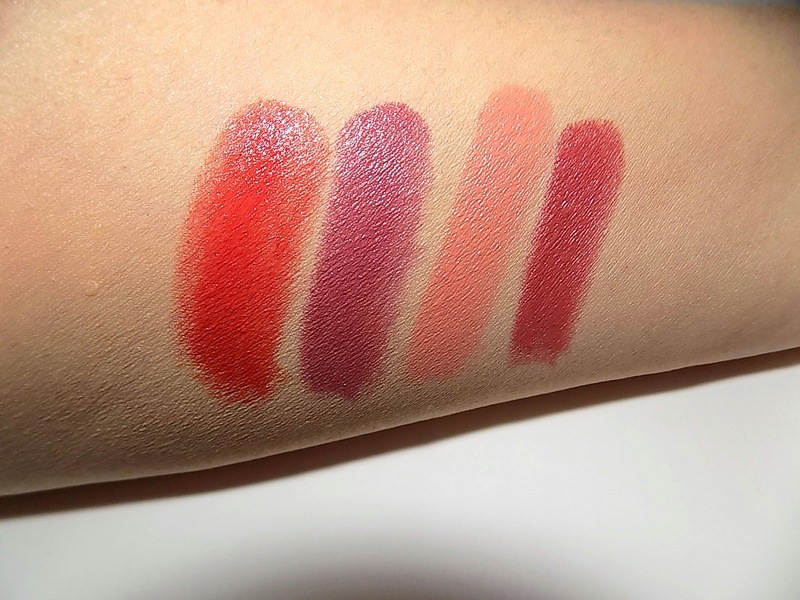 Part of the Hot Collection which is exclusive to Sephora these new palettes have three shades each and come in berry, Pink and Calypso. They're all so nice it's hard to choose, but I think I'd grab Calypso. 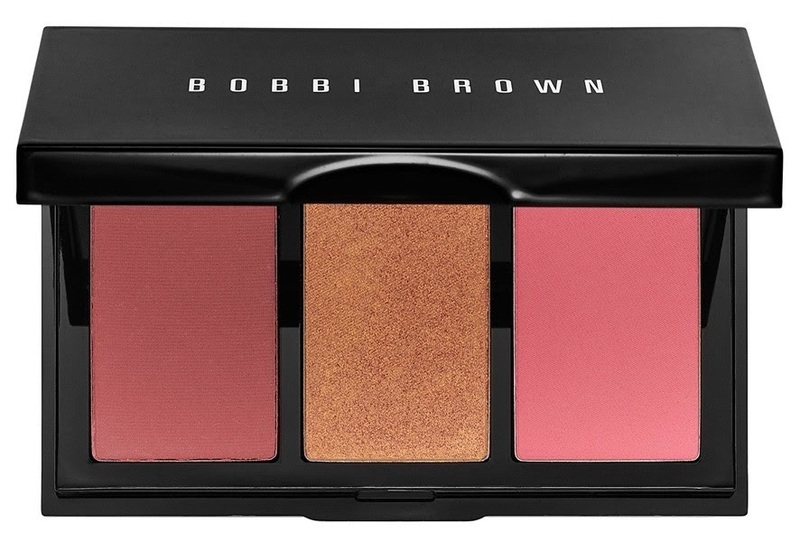 Bobbi Brown Blush Palettes are $ 45 each at Sephora and available now. 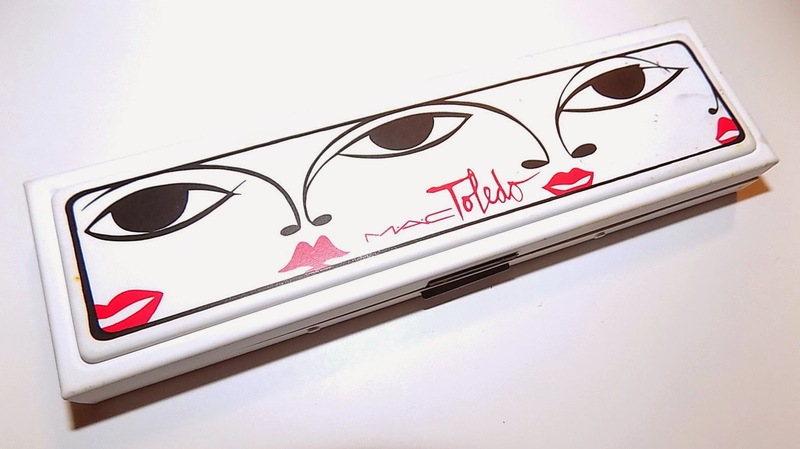 My most anticipated item from the MAC Toledos collection ? 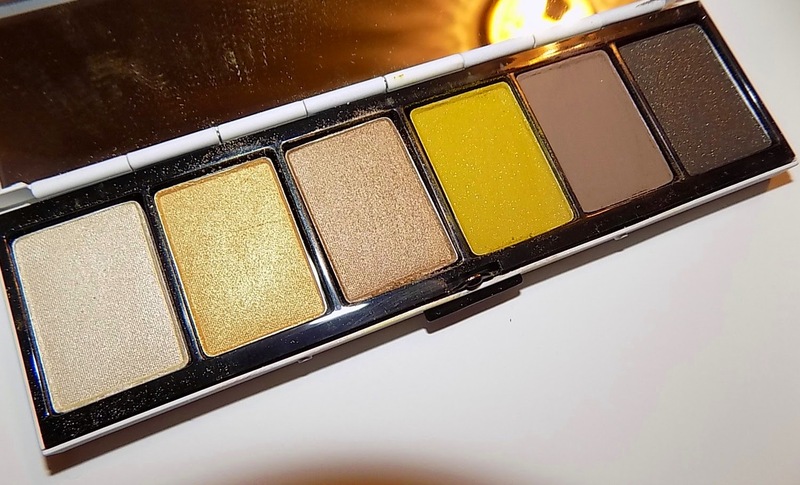 The Bellgreens eyeshadow palette. I tweeted the press shot as soon as it landed. All those greens and golds? So very me. All the colors are ones I'll wear, some more often than others but they all work for me. That probably won't be the case for everyone especially with the more acid mustard shade. The shades range from barely there shimmer to full on smoky . The mid and deeper shades have a lot of pigment and apply easily , although there is a decent bit of fallout with a couple shades. Wear these shades now, but in Summer the olives and yes , mustard will really work . 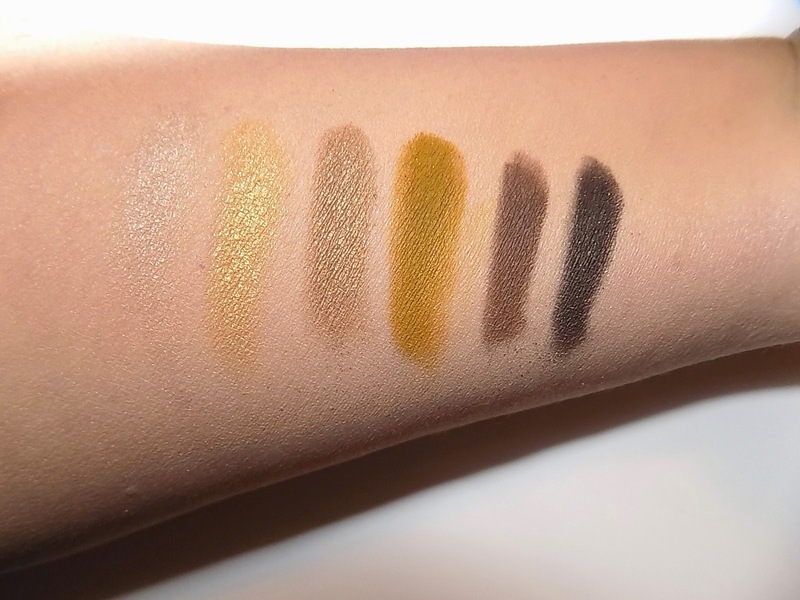 MAC Isabel and Ruben Toledo Bellgreens eyeshadow quad is available now through April 2nd and is $44. 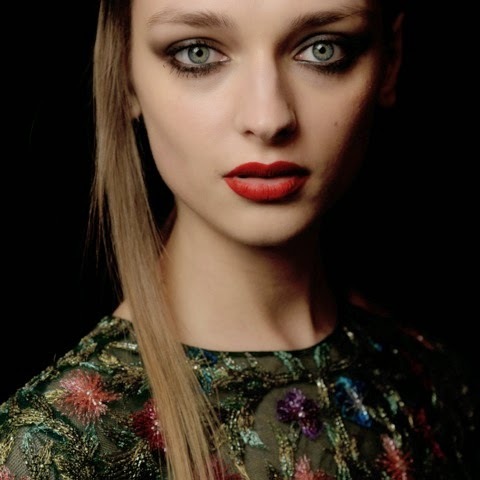 Fashion week always brings previews backstage of new makeup each season. Yes it's a long wait for the new products but I love a sneak peek, don't you ? MAC has previewed quite a bit including new shades of eye shadow, lipstick and this new foundation- Studio Waterweight. I have no other info, but I think it's safe to say this will be a thin liquid/serum type foundation , the kind we're seeing more of this year and that so far I'm really liking. 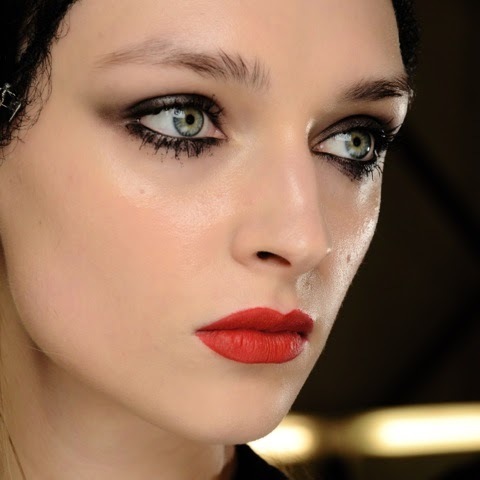 MAC Director of Makeup Artistry Romero Jennings called it "incredible real skin finish" . Romero is amazing so I will definitely take his word for it. MAC Studio Waterweight Foundation will debut in the Fall. Love a multi tasking product ? How about hair color touch up and dry shampoo in one ? That's what you can get with the newest release from AG Hair. 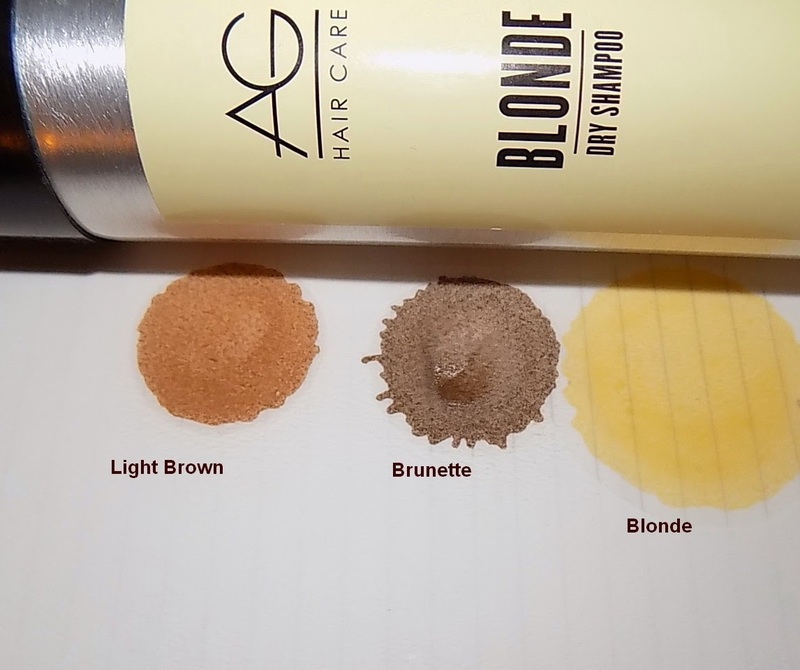 AG has three color tinting dry shampoo coming , in Blonde Brunette and Light Brown. 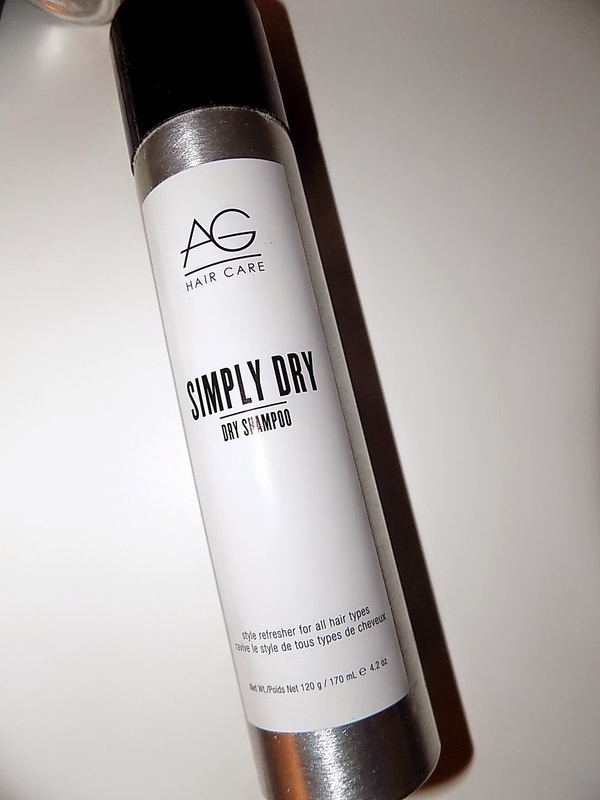 Each will give you all the benefits of dry shampoo with built in color for root touch ups and just a general color refresh. Looking for cleaner hair minus the tint, there is a basic Simply Dry one as well. The colored shampoos have some good tint to them. I tried the Light Brown and it made my red look darker , and well more brown. The Blonde just a touch of highlight but of course I don't have blonde hair so that makes sense. Each is a strong aerosol spray that has natural tapioca starch to soak up oil and get hair feeling cleaner. 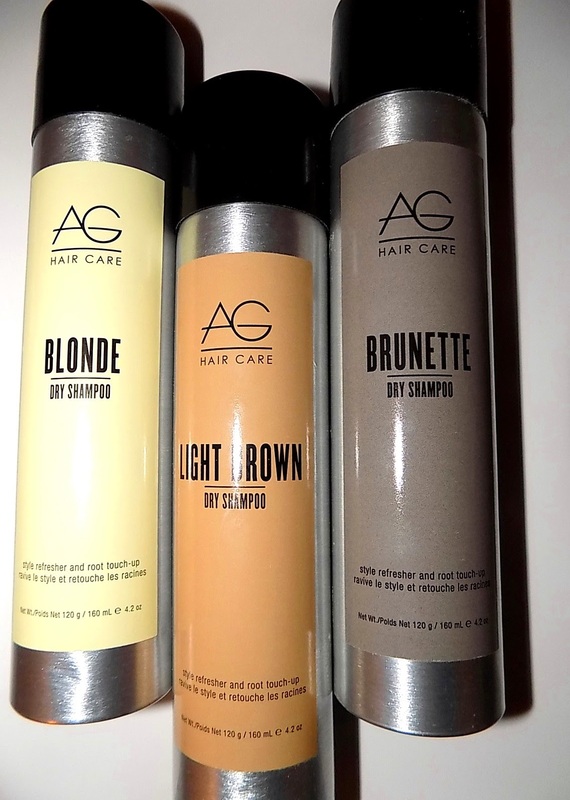 AG Hair Shampoos and Root Touch Up will be available March 1 at Ulta and participating salons. It's chilly out there and in many places this week it's going to be close to zero degrees. Even for someone like me who doesn't mind the cold, that's capitol C Cold. If your hands are dry and feeling the chill , you might be ready to stock up on some new hand cream. 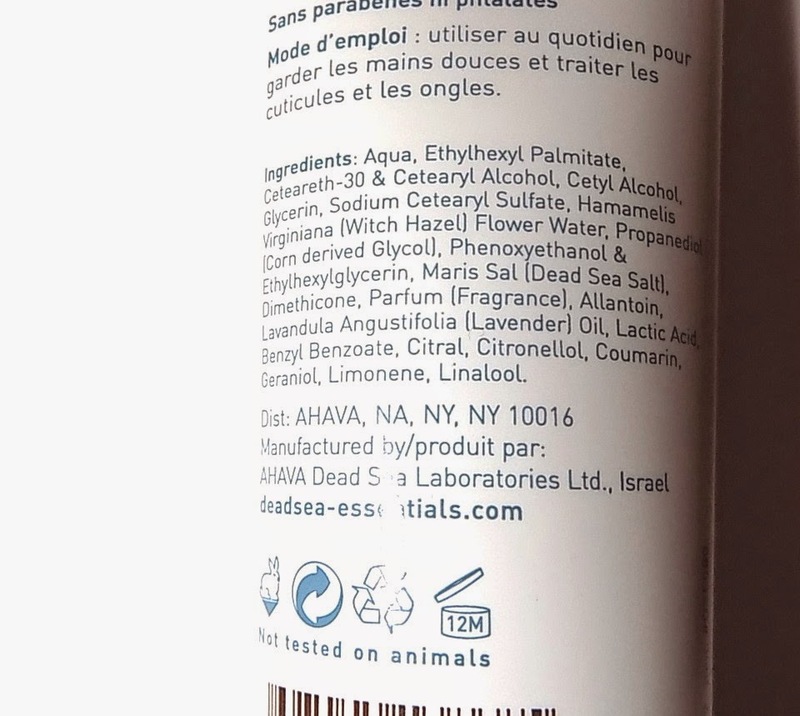 Dead Sea Essentials from Ahava will set you up well. 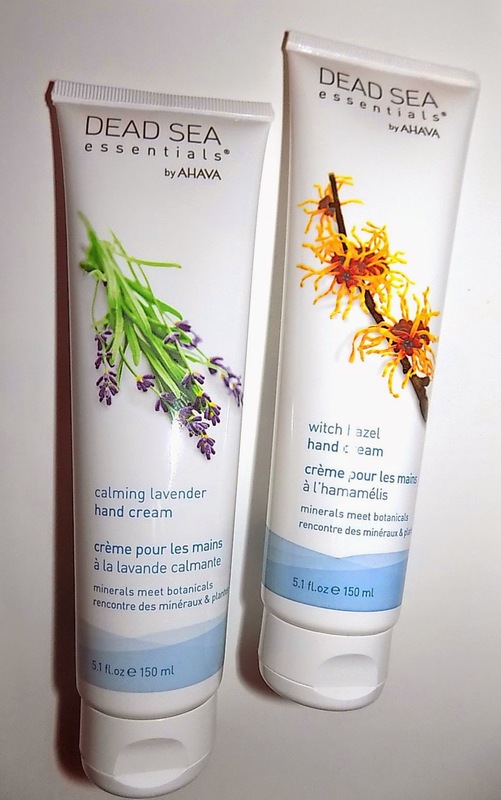 Both Calming Lavender and Witch Hazel are super emollient , heavy duty hand creams. Glycerin , Dead Sea Salt and Allantoin are among the moisturizing ingredients. They aren't greasy , sink in fast and have a light ,clean fragrance. The tubes are large at 5.1 oz, almost body lotion size. For 9.99 you get a lot of product. Dead Sea Essentials by AHAVA Hand Cream is available at Target. 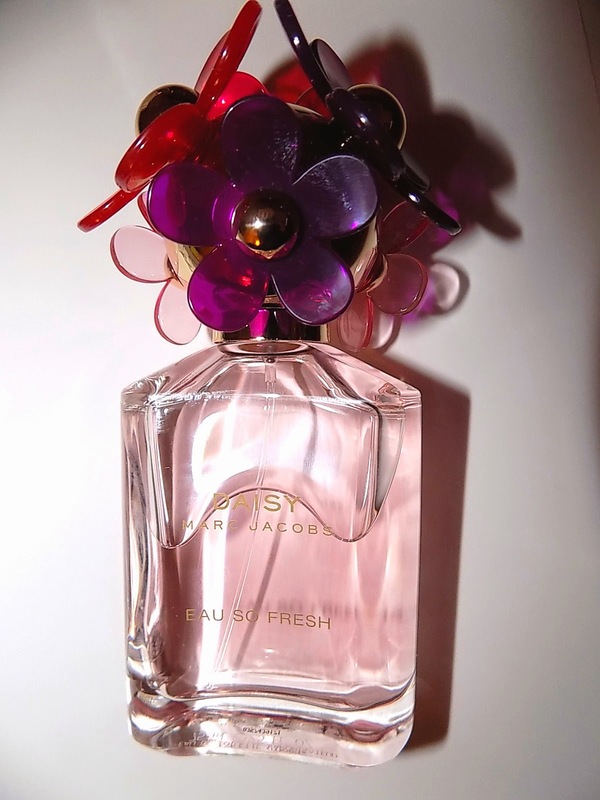 In time to bring some Spring feeling lightness to your fragrance wardrobe, Marc Jacobs adds a new Daisy- Daisy Eau So Fresh Sorbet. Eau So Fresh Sorbet is floral and fruit blend with lots of apple blossom , a hint of berries and the softness of white florals magnolia and jasmine . The drydown is more dewy floral with light musk and woods . This is a pretty scent that wears very close to the skin. It's not overly different from previous versions, just a touch ,but it's very Spring like and sunny . A nice scent to pick up your mood . 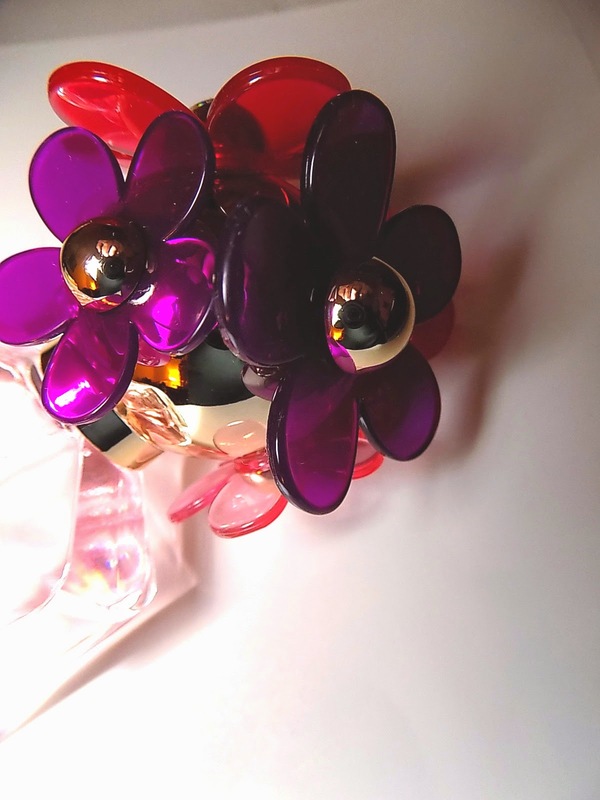 The bottle has the Daisy topper, this time the flowers are purple and pink rubber jelly, like those sandals we wore ages ago. It's fun and cute . 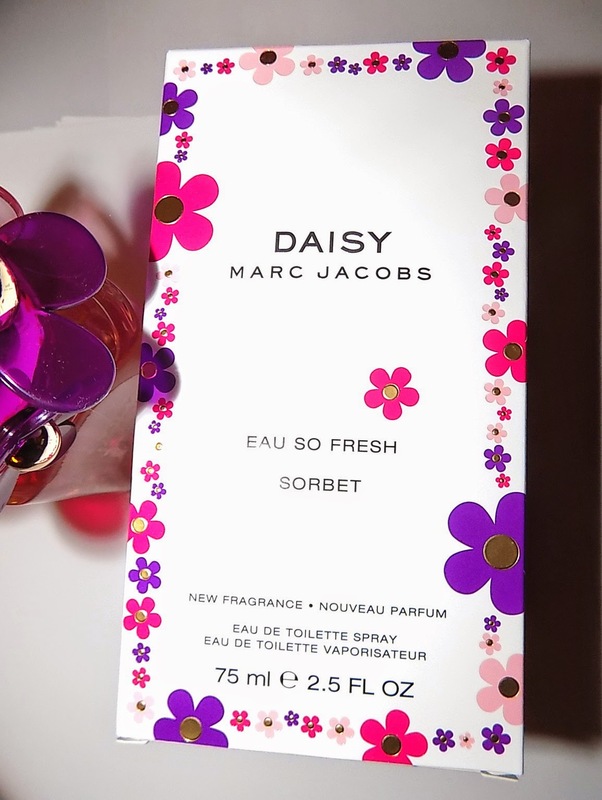 Marc Jacobs Daisy Eau So Fresh Sorbet is $ 89 for 2.5 oz EDT at Sephora , Macys and more. Ready for another addition to all the new foundation launches we've seen in the past few months? 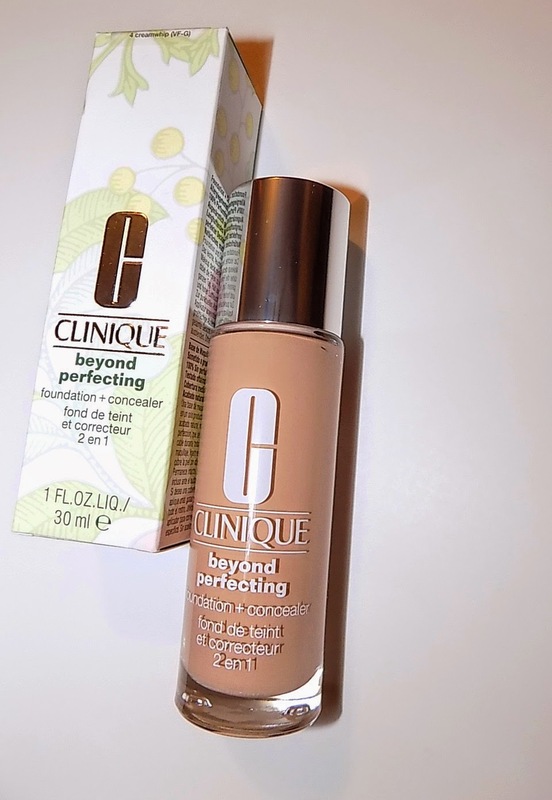 There have been a lot of good ones but Clinique's new Beyond Perfecting may well be the best of them. Beyond Perfecting is described as a concealer and foundation in one. 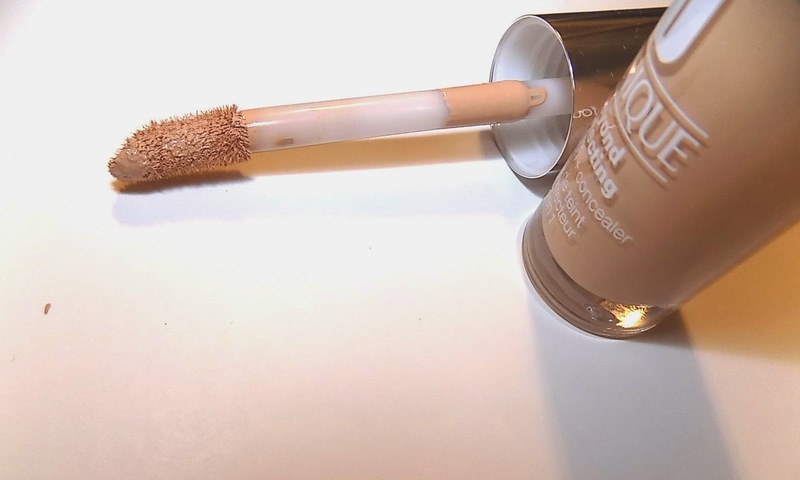 Concealer, there's a step we'd all like to skip , right ? 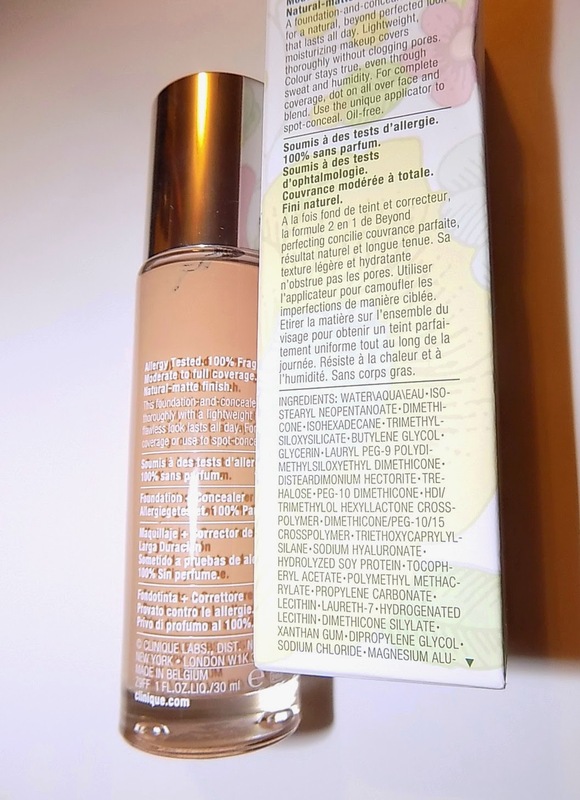 With it's full coverage , this foundation delivers on concealing and perfecting. This is truly full coverage , but has a lightweight, comfortable feel on skin. It covers and blends well for a soft matte finish that's, to me, more semi matte. It's not flat, cakey or heavy. There is a sponge applicator in the bottle and that can touched on spots etc or just swiped on for you to blend in. The formula is thicker , but again doesn't feel that way on. What you get is skin that is perfected, soft, has a little glow ( but no shine/gleam ) . The wear time is long , with oil spots like the T Zone being pretty well controlled . Clinique says this adds hydration where needed and absorbs excess oil where needed with " dual sphere particles " . I love a good full coverage foundation and there was quite a difference when I used this on one side of my face vs. the other with a lighter coverage one. The lighter ( medium basically) coverage one being one that I generally thinks looks quite good. Clinique is usually good with sampling, so if you're looking for a great new foundation, I'd hit up the counter and check it out. Clinique Beyond Perfecting Foundation is $ 27 at Sephora and department stores. ( Shade shown is Creamwhip) . Laura Mercier brings us an interesting and very nice lip color in the new Paint Wash Liquid Lipcolour. Paint Wash Liquid Lipcolour is super pigmented, don't let the "wash " in the name fool you , this is not sheer at all. It's creamy and has a semi matte finish . It's hard to describe how this feels out of the tube. Whipped maybe? It's light and thin but not runny . Once on it dries almost matte but isn't dry feeling or tight and it looks good on lips, no accenting the lines or dry areas. There's light moisture and it feels comfy on lips. After a couple hours it wears down to stain, at least on me. Your mileage as they say, may vary. 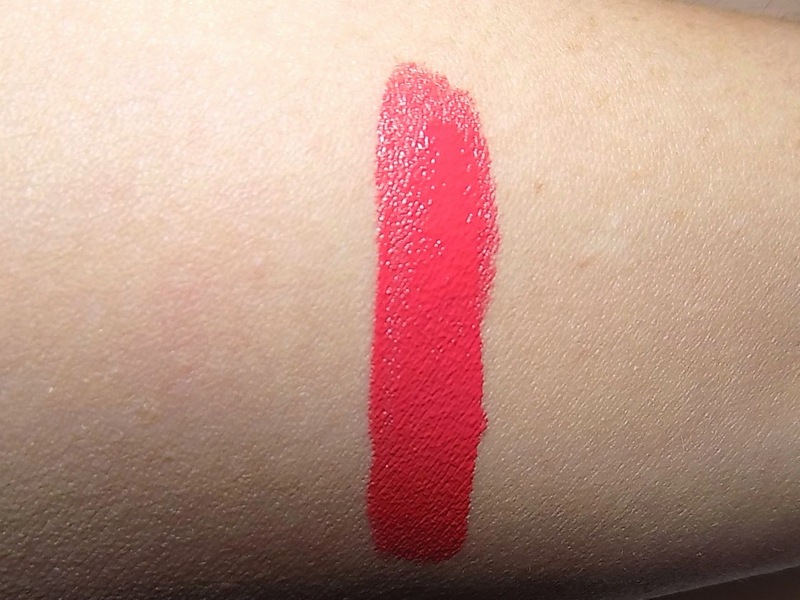 Shade shown is Coral Reef which is super saturated as are all the others shades I tested in Sephora. The light peach, Golden Peach really caught my eye as well. I love the full coverage with these and the formula itself. I'm not usually a big fan of super matte lips, this is a nice hybrid lip choice instead. Laura Mercier Paint Wash Liquid Lipcolour is $ 28 at Sephora . Looking for something sweet for Valentines' Day or any other special occasion, that's different than a box of candy ? How about honey? 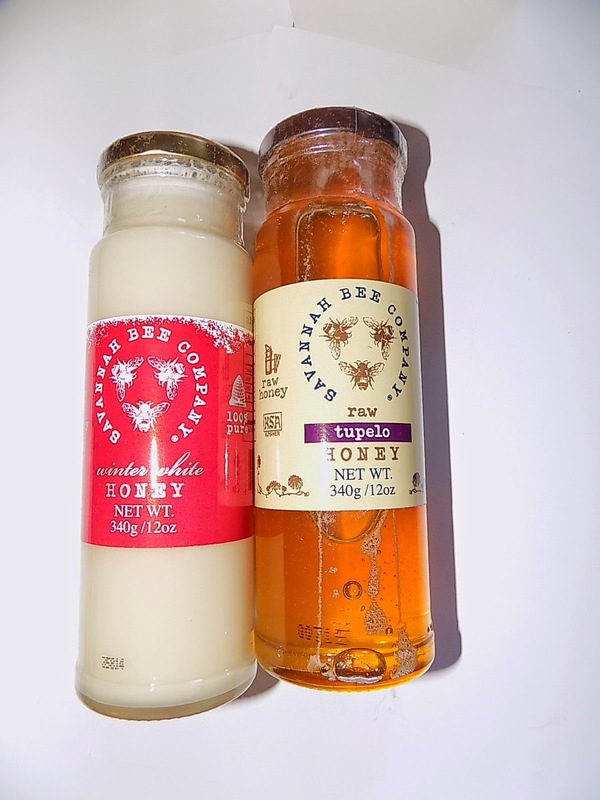 Not just any honey, but Savannah Bee's Honey. 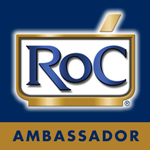 I recall grabbing some of their body products when they were carried at Bath and Body works eons ago. Anyone else remember that? They had great lip balms then and still make them. And of course they make some delicious honey . 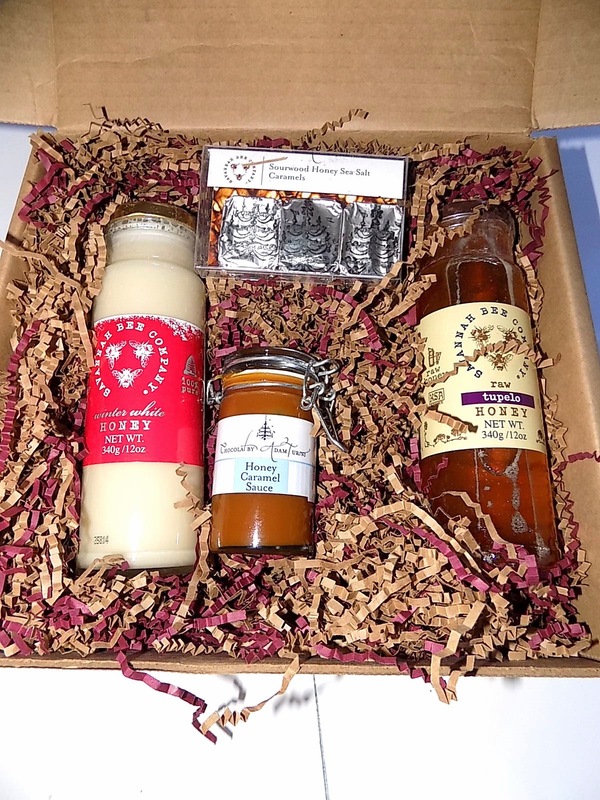 The Honey Caramel Delight gift set , one of many available , includes Winter White Honey , a truly delish ,thick spreadable honey with hints of vanilla, Tupelo Honey, thick and sweet it's really upped my tea game , along with decadent Honey Caramel Sauce and Sourwood Honey Sea Salt Caramels from Adam Turoni. One big box of goodness. 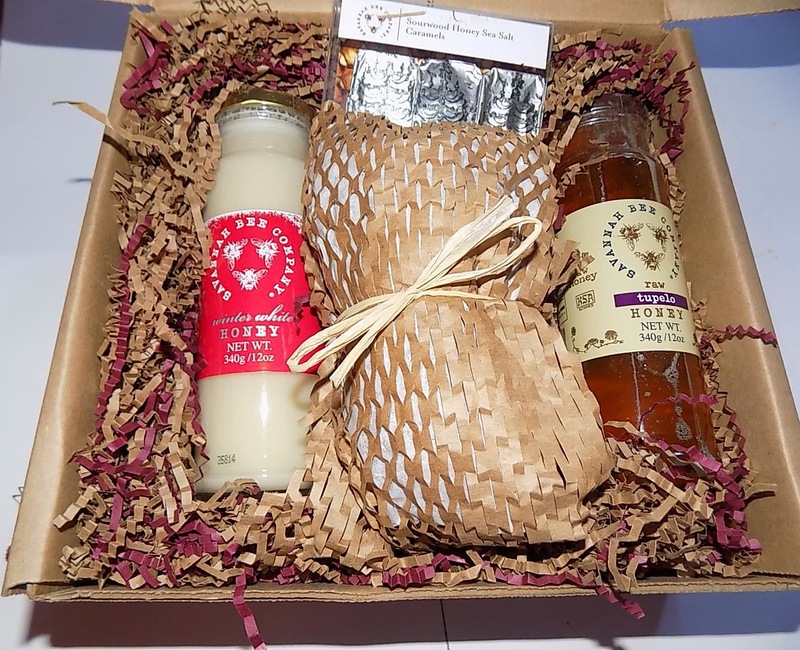 I can't rave enough about the Winter White Honey and if you want some but not a gift, it's available individually. And... to treat yourself, I've got one gift set to give away. Leave a comment on this post and you'll be entered. I'll take comments until midnight on Feb. 8th. Order by Feb. 6th for guaranteed Valentine's delivery. 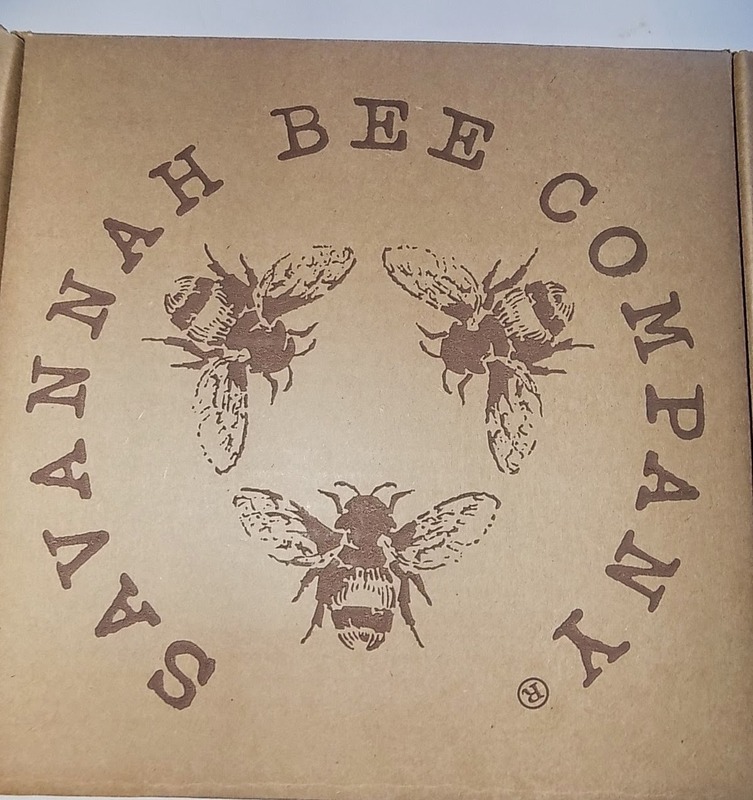 Winner's box shipped by and from Savannah Bee. Beauty Alchemist is not responsible for lost entries or shipment .